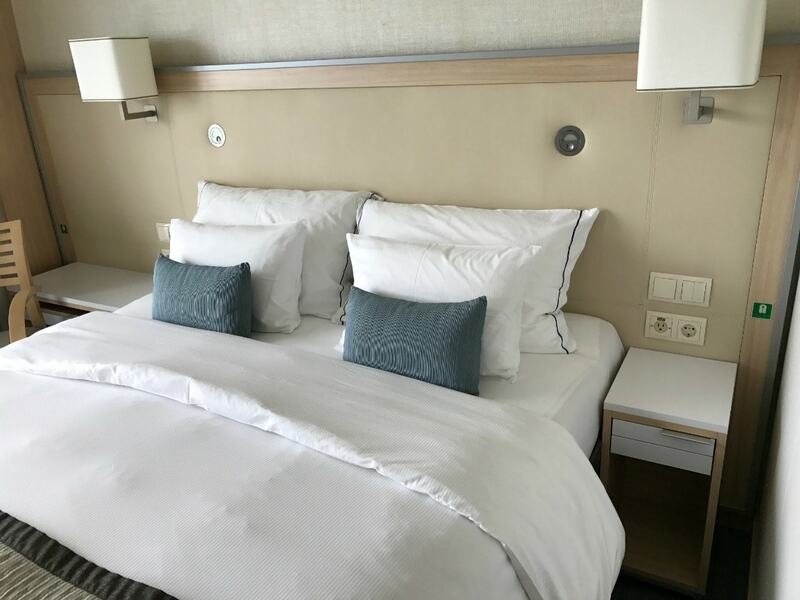 If you’ve been thinking of booking a Viking Rhine River Cruise for your family, I can tell you from experience that you will make memories to last a lifetime. Last year my husband and I took our daughters on the Viking Rhine River Cruise. 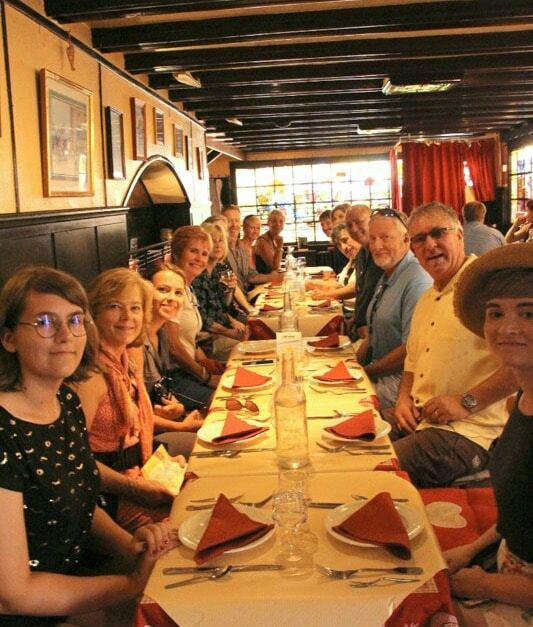 Most people think of river cruises exclusively as a vacation for couples, but if you have older kids, it’s a wonderful way to show them another part of the world along with a history lesson they will never forget. Two years ago my husband and I went on our first of three Viking River Cruises, beginning in Lyon and ending in Provence. 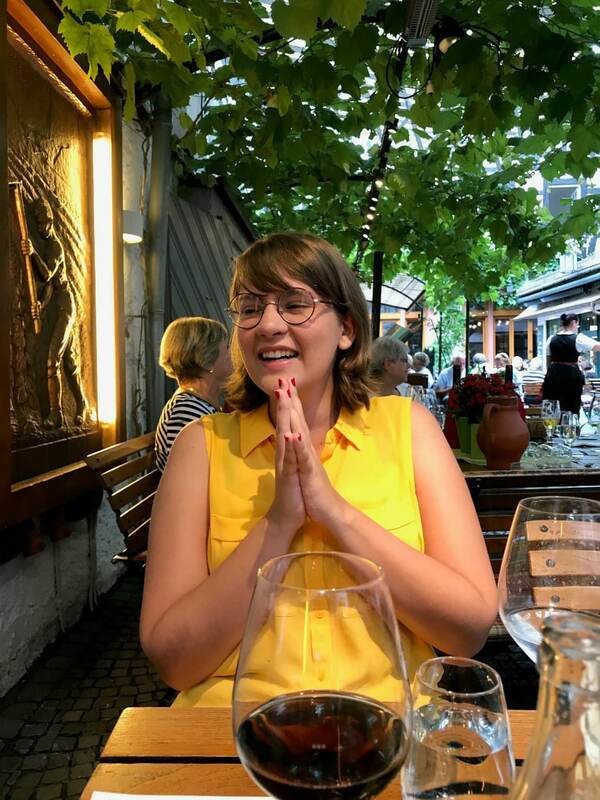 It was after we had actually been on one of the Viking River Cruises that the wheels started turning about taking our girls. We realized a few years ago that the same year my husband and I would be married 25 years, our daughters would also turn 18 and 21. Those are three pretty big milestones, and we wanted to celebrate in a big way. What would we do? We thought about Hawaii as we’ve always wanted to go. We talked about Europe as our oldest had never been. And then it dawned on us. Why not take our daughters on a Viking River Cruise in Europe to celebrate all three big occasions together? It was the best idea we’ve ever had. 25 years of marriage is a pretty big milestone. Let’s be real; it’s not easy, but it is worth it. It deserves a celebration that will be remembered forever. Our girls are now both busy adults. We knew if we didn’t make this celebration happen now, it may never happen. I guess the key is to not let that time pass when you are all able to take a trip like this together. 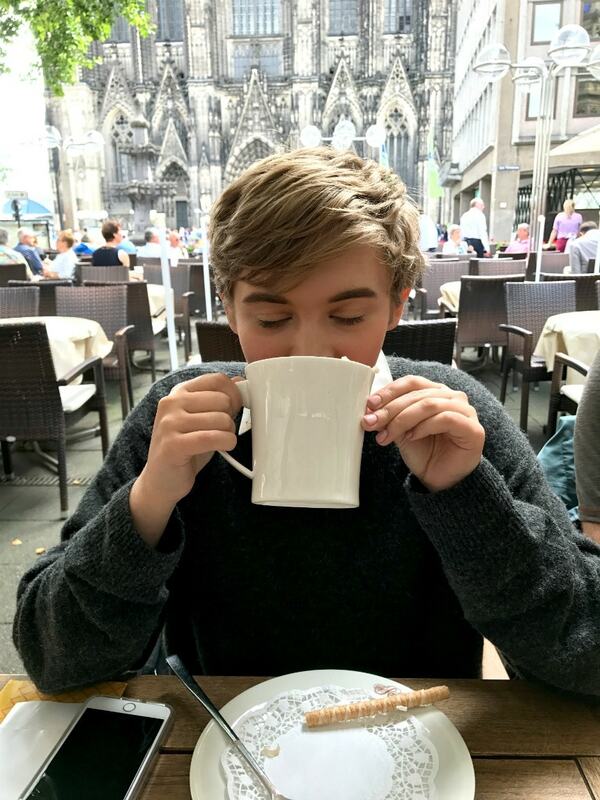 The memories we made are truly priceless; Sipping a cappuccino in Cologne, Germany, seeing the castles along the Rhine, exploring the Marksburg Castle together, these are just a few of the things we will never forget that we experienced as a family on the Viking Rhine River Cruise. I can’t believe I’ll be an empty nester in the next couple of years. Our oldest (above) is in college in Canada, and our younger daughter leaves for the same college in the fall. They will be both be home during the summer for the next couple of years, but then they will be off – building their own futures. I want to squeeze in all the time together with them I can! We really had a lot of special moments on this Viking Rhine River Cruise. The Viking Trademark is The Thinking Person’s Cruise. This is why they offer the Culture Curriculum while onboard, bringing local history to life. You’ll also find a plethora of information on their site to prep you for the journey, including a book list. There is so much to explore, and most of the time, you can walk right into town. Other times, Viking Cruises has their own lovely coach buses to get you to different excursions. The below photo has a story we will never forget. We had just been to the Van Gogh Museum. My oldest daughter had just shown me the Dr. Who episode where Van Gogh is brought to the future to see how people would react to his art. I could not stop crying. 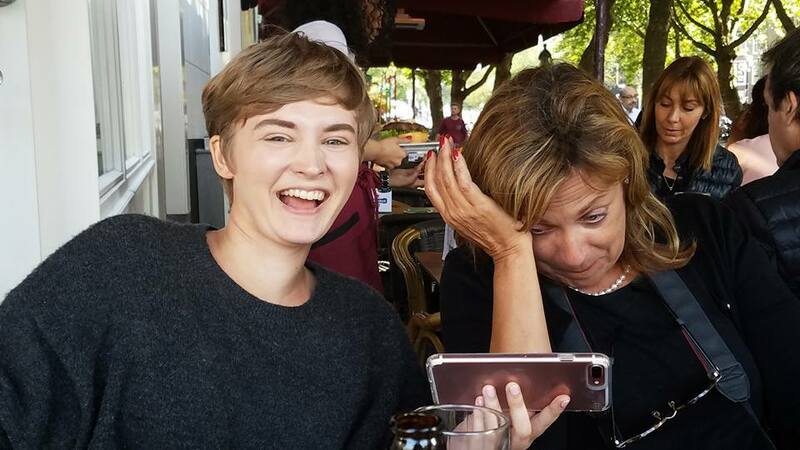 My daughter clearly got a kick out of it! If you haven’t seen it, take a moment and watch. If you’ve been a reader of this site for any length of time, you probably know I’m a foodie. One of my favorite things about a Viking River Cruise is that they serve food based on each region you will visit. On this particular day, we were in Strasbourg for a culinary tour. A Viking Cruise will also offer cooking classes when available. Two years ago I learned to make Choux Chantilly in France. We had so much fun! 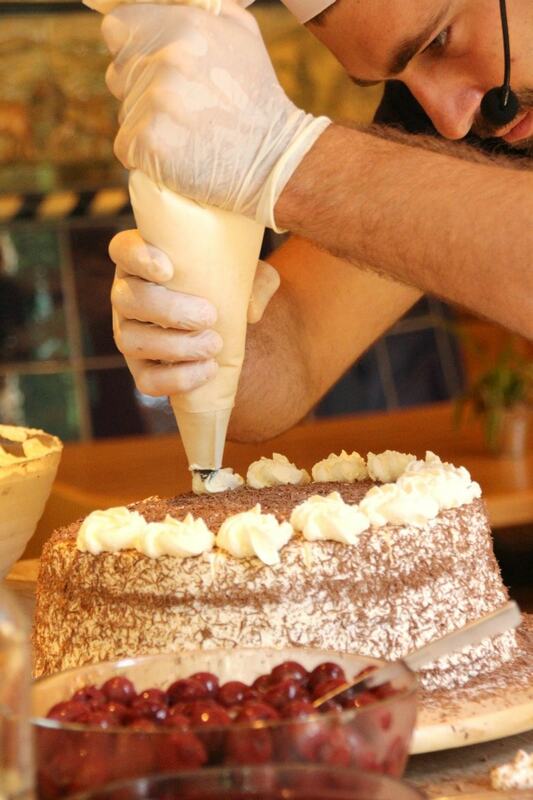 This year we watched a live demo of making a Black Forest Cake, in the Black Forest Germany! You can’t get any more authentic than that! We had three waiters at our beck and call every night we ate on the ship. They were wonderful! I know our girls felt very blessed to be so spoiled by the Viking team. It almost makes me want to do the Viking Rhine River Cruise again, but there are so many fantastic Viking River Cruises to different countries. We have a couple on our bucket list we would love to do over the next few years. The toughest thing about a Viking Cruise is getting home and not having the staff with you! The rooms on a Viking River Cruise are not huge as there is only so much room on a small ship, but they are luxurious. The bed is so comfortable, and the shower is large enough that my husband who is 6’1″ doesn’t feel cramped. The heated floors of the shower are wonderful, too! You’ll find plenty of room to put away your clothes and not think about packing again until you have to pull your suitcases out and say goodbye. There is also ample storage in the closets. 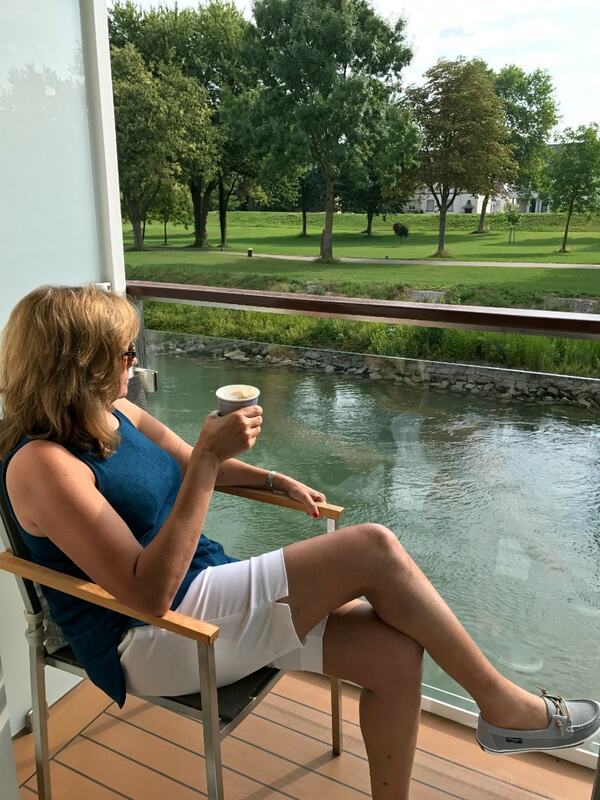 On our first Viking River Cruise, we didn’t have a veranda, and I do have to say I loved it on this last cruise. However, Viking River Cruises do sell out fast, so if you can’t get a veranda, it’s not the end of the world. You don’t spend that much time in your room, anyway. The Viking River Cruise typically has about 190 passengers. This makes for an intimate group. You see the same people throughout the cruise, whether at dinner, on an excursion, or on the deck watching the scenery. After the first day, you’re waving at people from across the room. Viking does an incredible job of designing experiences everyone will enjoy. For those who want to go on an excursion every day, there is so much to choose from. Experience cooking classes, see UNESCO Heritage sites or take a walking tour of the city. 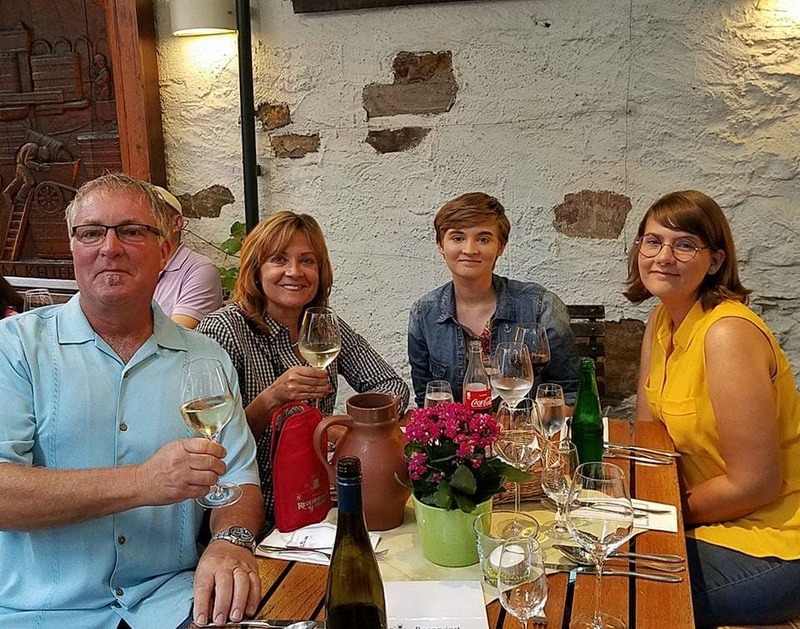 We chose an excursion in Rudesheim, Germany that featured a traditional German meal and entertainment. The below photo says it all. We had so much fun! If you prefer to spend more time on the ship, you’ll enjoy experiences like History lectures to onboard concerts to wine and cheese tastings. On this particular evening, we were treated to an concert from members of the Cologne Academy of Music. When Viking River has their 2 for 1 special, you can’t beat the price. Check the website when you’re ready to start planning. This is one of my favorite things about a Viking River Cruises. All the information about your trip will be on your My Viking Journey page. Once your flights are booked, they show up on your page, as well as excursions you’ve booked, whether they are the included excursions or optional. This is how you plan your days. You’ll have links to research where you’re going, tutorials on the language, and even a recommended book list and a map so you can see the route of your cruise. 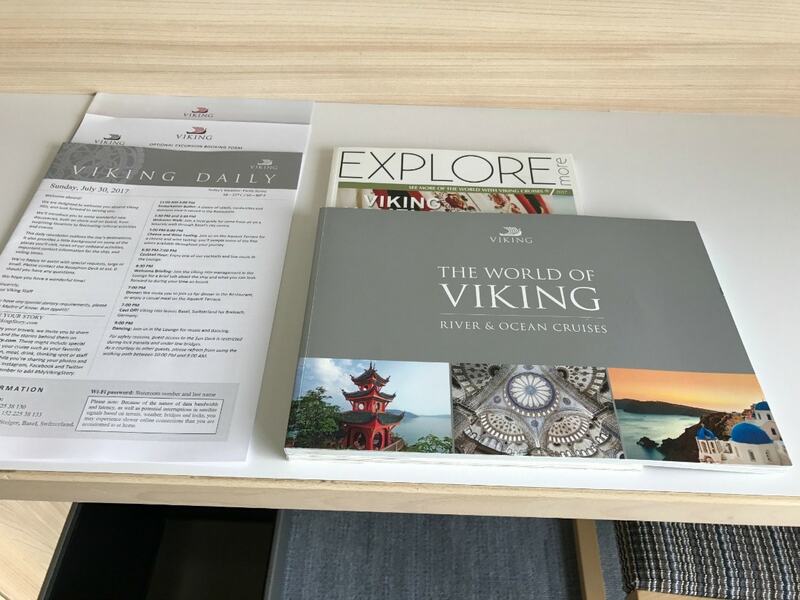 Once on the ship, you will receive a Viking Daily in your stateroom each day when your room is tidied. Finally, we never know what life is going to give us. One of my favorite things about travel is the people I meet. On this last cruise, I met Anita who shared with me that she has been told she has cancer and three to four months to live. 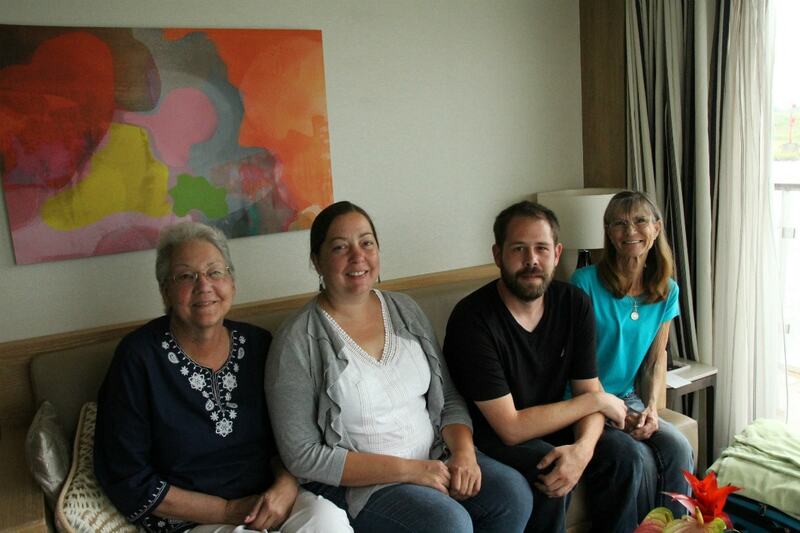 She told me, “This is my swan song.” She brought her closest friend, her daughter, and a friend of the family who has been a blessing to her by helping her get around and taking care of things she can no longer do around her house. Anita and her friend Jacqui, a lifelong friend who has moved in with her to help with anything she needs, had a suite and loved every minute of the cruise. Though she is in a wheelchair (from a hip replacement issue- not the cancer) she was able to do several of the excursions. Viking did a great job accommodating the wheelchair. Anita said she received brochures from Viking, so she did some research. She liked the small size and small number of passengers. She chose this particular route because she had done a day trip on the Rhine when she was a child. Anita said, “You need to step outside of your life. Experience other cultures. You have to see it to believe it. Pictures don’t do it.” Her favorite part of the trip was the Black Forest. We loved that, too. Anita is 64. Life is too short friends. She is making the most of the time she has by seeing the world (she loves to travel) and sharing it with those she loves. I hope she is with us longer than she said and I run into her again one day soon. When I say I think Viking is the best way to see the world, I mean it. Viking River Cruises are available throughout Europe, Asia, and Egypt. The Ocean Cruises are too many to list here. 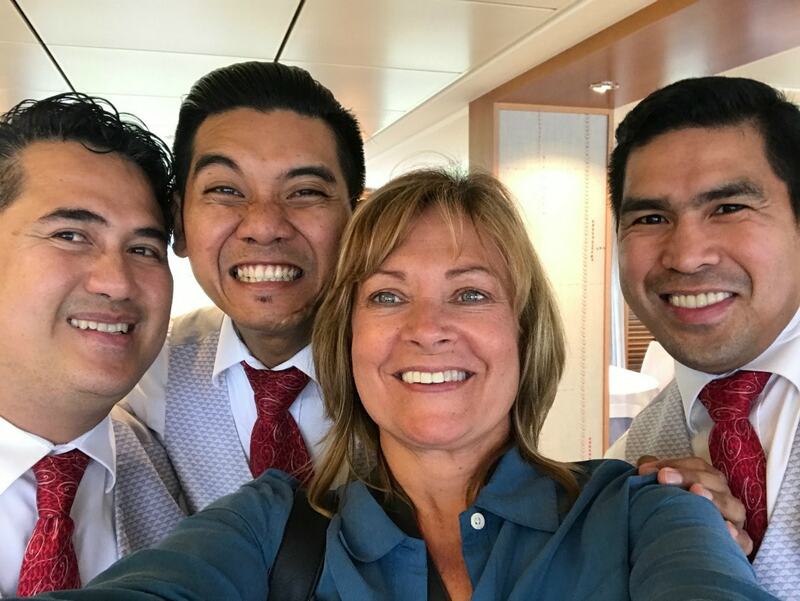 I haven’t been on an Ocean Cruise with Viking yet, but my friend Charles McCool from McCool Travel has, and shared a post about Secret Things to Do on a Viking Ocean Cruise. And now, you can enjoy both the River and Ocean Cruise in the same trip. Did I mention this is a bucket list item? 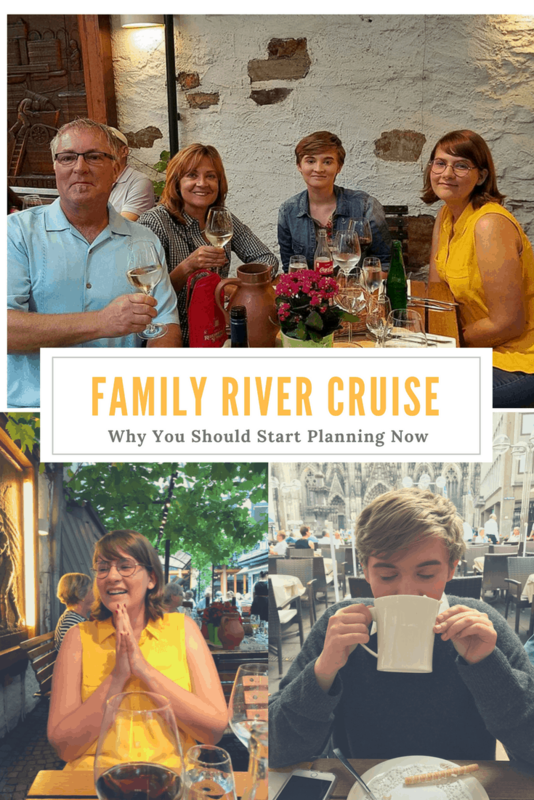 I hope I’ve answered some questions for you about why you should consider one of the Viking River Cruises with your family. What do you have planned for your next celebration? Share in the comments. I’d love to read about your adventures. Food, Fun & Faraway Places participates in the Amazon Associates Program and other affiliate advertising programs designed to provide a means for us to earn fees by linking to Amazon.com and other affiliated sites. That was a great roundup of an amazing trip and it seems like you spent so much time in so many different places. I have always wanted to go on a cruise but this one seems like the perfect way to go. These are such good reasons! I’d totally love to go on one of these river cruises. It would be so nice to go on all of the excursions! That is so amazing! We’ve been tossing around the idea of doing one of these, and you just sold me on it! Thank you so much for sharing this! I’ve heard of these river cruises before, but honestly, I thought they wouldn’t be this nice. I’m so glad you brought this to us! Those are good reasons! I have always wanted to go on a Viking River Cruise. I have heard so much about them and how nice they are. Gotta look into one of these for my anniversary. I think a Viking cruise would be such an incredible way to see new countries. I like the special touches they give their guests, like the black forest cake while you were in the Black Forest. It’s the little things like that that make a trip memorable. The “river” cruise has always thrown me off, but seeing your photos and reading your posts, it makes more sense now! Our next adventure is flying to Rhode Island to pick up our Sprinter Van. Hoping to experience the #vanlife, even if it is only on the weekends! I don’t have kids but it would be nice to go on a cruise with the family! I think it’s an amazing experience and it’s a great way to get to know each other better while also making memories. I’m sure it’s worth it. i am not much of a fan of travelling with my kids while young. Probably because I have 7 of them and it can be a handful at times, but we love making memories. This looks like a lot of fun! I hear you, Jeanine, and this would definitely not be for you at this stage. Maybe just you and your husband. If you want to cruise now, go with one that specializes in family cruises for young kids- with a kids club! I definitely don’t need an excuse. These cruises look awesome! Wow, it looks like you get pampered on this cruise. I wouldn’t mind that at all! ha! History lectures??? It sounds like they have a bit of everything. Everything I LOVE at that! I have always wanted to take Viking cruise. I cannot get over how much you get for your money. And this is my favorite Doctor Who episode! I have been on cruises before but I have not been on a Viking River Cruise. It looks really fun. I love that you were able to meet an amazing person, Anita, on the cruise. To take a Viking Cruise is definitely on our bucket list. Seems they are very friendly. I love your picture laughing and sipping coffee in the balcony!! Kids grow really fast. Best way to gather memories with them. Exactly, Asmi. It was an incredible trip! I just wanted to say that my mom and I did this cruise last year in October. What caught my eye was your selfie with the staff. Alan! He was my favourite that whole trip 🙂 Can’t wait until November when my mom and I go again. Glad you had a fun time. Welcome! 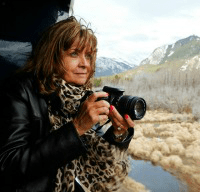 Food, Fun & Faraway Places® is a travel and lifestyle blog written by Kelly Stilwell. 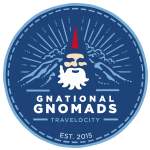 From delicious recipes to world travel, I’ve got you covered! Contact me at kastilwell@gmail.com.